Over the past two summers, The National Center for Outdoor & Adventure Education (NCOAE) has received a total of nearly $9,000 from Island Women, Inc., a group of savvy, talented and passionate women who live in nearby Pleasure Island, N.C. Island Women is a not-for-profit organization that’s on a mission to enhance the quality of life on Pleasure Island, which is located just five minutes south of NCOAE’s headquarters facilities in Wilmington. 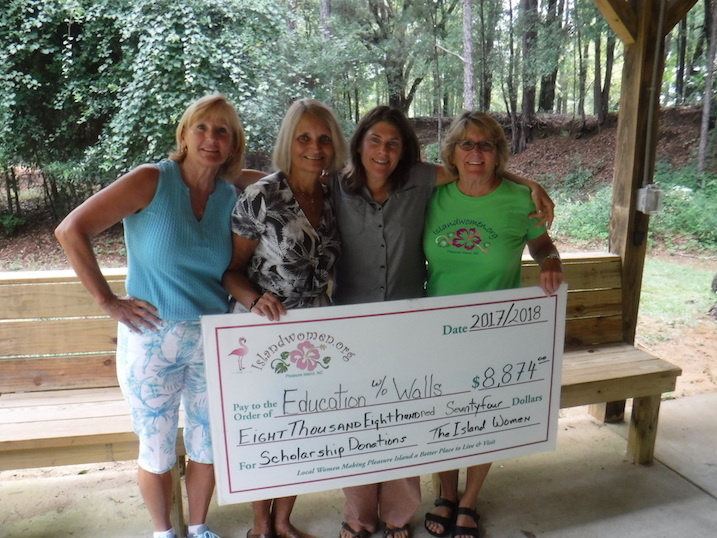 The generous donation (totaling $8,874) was designated by the local group to be used in NCOAE’s not-for-profit subsidiary, Education Without Walls — an outdoor- and adventure-based program that provides academic and life skill guidance for high school kids living at or below the Federal Poverty Level. The end goal of our program is to motivate and support low-income students in identifying and achieving their potential. Among many other commitments, Island Women promotes education, cultural expression, and mentoring among women. In our case, Island Women’s members were interested in our Education Without Walls program after NCOAE Co-Founder Celine Adair was invited to address the organization in the summer of 2016.